Proposing an amendment to the Constitution of Alabama of 1901, relating only to the areas of Madison County outside of the corporate limits of any municipality, to authorize the Madison County Commission to adopt and enforce ordinances or resolutions to limit and restrict noise levels and public nuisances caused by excessive noise levels; and to authorize criminal penalties for violations. 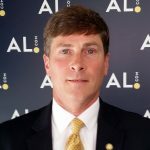 The following amendment to the Constitution of Alabama of 1901, is proposed and shall become valid as a part of the Constitution when all requirements of this act are fulfilled: PROPOSED AMENDMENT (a) This amendment shall apply only to portions of Madison County outside the corporate limits of any municipality. (b) The purpose of this amendment is to protect and to provide for the health, safety, and welfare of the citizens of Madison County, and to promote commerce, property enjoyment, quality of life, and quality of the environment by authorizing the Madison County Commission to adopt, amend, and enforce ordinances or resolutions to limit noise levels and to regulate public nuisances caused by noise levels in order to minimize the exposure of its citizens to the physiological and psychological dangers of excess noise. (c) The Madison County Commission may adopt and amend ordinances or resolutions applicable in the unincorporated areas of Madison County to prohibit excessive noise; to regulate, limit, and control noise levels; to control public nuisances caused by excessive noise levels; and to provide criminal penalties for violations. These ordinances and resolutions shall be enforceable in any court of competent jurisdiction within the county. Notwithstanding the foregoing, no ordinance or resolution may be adopted to restrict noise produced in the ordinary course of business by industrial manufacturing, or farming facilities or activities. (d) The Madison County Commission may provide criminal penalties for violation of the ordinance or resolution adopted pursuant to this amendment not to exceed the penalties for a Class C misdemeanor. An election upon the proposed amendment shall be held in accordance with Sections 284 and 284.01 of the Constitution of Alabama of 1901, now appearing as Sections 284 and 284.01 of the Official Recompilation of the Constitution of Alabama of 1901, as amended, and the election laws of this state. Relating to Madison County and the areas outside the corporate limits of any municipality, proposing an amendment to the Constitution of Alabama of 1901, to authorize the county commission to adopt ordinances or resolutions to prohibit excess noise, to regulate, limit, and control excess noise levels, and to control public nuisance caused by excess noise levels in the unincorporated areas of Madison County and to authorize penalties not to exceed the penalties for a Class C misdemeanor." March 6, 2018 S Assigned Act No. 2018-167.